All journeys are easier – and often more enjoyable – when you have guides to not only help you find your way, but point out special opportunities and hidden treasures that make that journey particularly memorable. The Family Wealth Advisory Group Team, led by Rob Grossheim, are the expedition guides for your life’s journey and our goal is to do just that. Each of our team members has their own area of expertise and role that they play in all of our clients’ life expeditions. Together, we pool that expertise to identify those special opportunities to help them do more and see more than they ever could have on their own. Please meet your Expedition Guides! Rob’s interest in money and investing was heightened after watching the movie Wall Street in the mid-80s. While in college, this caused him to pursue an internship with an international brokerage firm in Cincinnati where he was responsible for helping to analyze pension fund managers. Once he experienced Black Monday and the flash crash of 1987, he realized that being a stockbroker or stock analyst wasn’t enough; he wanted to help people understand the risks and the rewards of the markets and how they can help them accomplish their goals. 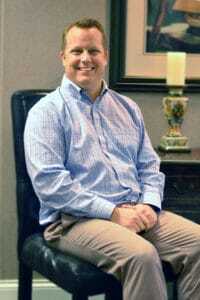 This led to his desire to create a financial planning practice once he graduated from Miami University in 1990. He started this practice under the umbrella of Lincoln Financial Advisors (LFA) which allowed Rob to operate as an independent advisor while having a support team and mentors to get his career off the ground. He received his Certified Financial Planner designation and MBA from Xavier University by 1996. 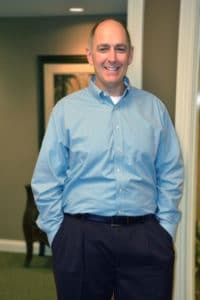 In 1999, Rob was approached and agreed to become the Regional Director of Financial Planning, Investments and Practice Management for the Cincinnati Office LFA, which gave him an opportunity to experience working for a large wealth planning company while being able to maintain a core group of clients from his practice. In this role, he was responsible for technology, financial planning and investment support delivery to over 100 advisors in the Cincinnati and Louisville areas. Despite learning a great deal from this management role, Rob soon realized that he could have a much greater impact working directly with clients, doing so as their representative as opposed to a financial industry representative. This was a subtle but significant shift that spawned Family Wealth Advisory Group that would grow by accepting a fiduciary role in serving its clients. This meant that the firm would act in the best interests of the client as opposed to a firm with growth quotas for selling its products and services. 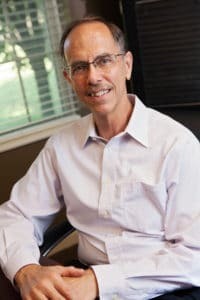 In 2004, Rob left LFA to create Family Wealth Advisory Group as a fee-only registered investment advisory firm registered with the Securities and Exchange Commission. Other than Family Wealth Advisory Group activities, Rob has a passion for and is active with his family, his community and his industry. A former 40 under 40 award winner, Rob has served as President of the Financial Planning Association of Southwest Ohio, President of the Cincinnati Estate Planning Council, Vice Chairman of the Investment Committee of the Board of Directors for the Children’s Home of Cincinnati, Vice President of the Wave Foundation at the Newport Aquarium, volunteer youth football/baseball and basketball coach, Assistant Scoutmaster and Environmental Science Merit Badge Counselor for the Boy Scouts of America and volunteer scuba diver for the Wave Foundation at the Newport Aquarium. Rob and his wife, Anne, have two great sons (John and Ben) that have been instrumental in getting their dad involved in all of these wonderful activities. 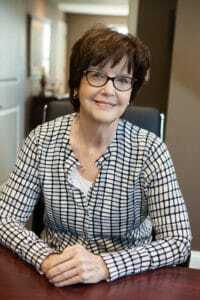 Born and raised in Toledo, Ohio, after graduating with both a BS and MS in Chemical Engineering from the University of Toledo, I began my first career at Procter & Gamble in 1973 working primarily in Product Development. I worked at P&G for nearly 29 fantastic years in various positions including Director of Product Development, Director of Beauty Care Technology Licensing and Vice President of Research & Development at Noxell, a P&G subsidiary. Along the way I also received my MBA in Marketing from Xavier University and my wife, Denise, and I adopted two children. Retiring early from P&G in mid-2002 a few months later I decided to pursue a second career in financial planning and investment management. I believed this would be a good fit with my skills as the P&G approach to developing superior products, that is, understanding consumer needs and then creating and applying technology to create a superior product, parallels the financial planning process. The difference is that instead of chemistry and engineering, it’s finance that is used to create what hopefully will be a superior long-term experience. But instead of following the traditional approach to entering the financial planning business as a second career, I chose to first pursue coursework to achieve a Certificate in Financial Planning from Kaplan College. Having completed 85% of the requirements, I began to seek out opportunities in the industry which led me to accept a position with Lincoln Financial Advisors in April 2003. While beginning my practice, I completed my financial planning certificate coursework and then successfully passed the Certified Financial Planner® exam. In January 2005, an opportunity came my way to move from commission/fee-based to fee-only. So I left Lincoln Financial Advisors and linked up my practice with Family Wealth Advisory Group, a relationship that is now over a decade old. Once I obtained the required minimum 3 years of work experience in financial planning, I then became a Certified Financial Planner® designee. And while I do not sell insurance, I have also maintained my Ohio insurance license. I enjoy working with my clients. Each bring their own unique set of needs, goals, beliefs about money and financial resources, thereby providing interesting challenges and the opportunity for customized plans and portfolios. My finance career began in corporate accounting. As my family grew, I moved into a part-time position performing tax preparation. As time progressed, I noticed a pattern of clients that did not understand the tax implications of selling investments within their portfolios. This was my motivation to transition into financial planning. I now had the opportunity to help individuals financially, while using my tax knowledge. I met Rob during our time at Lincoln Financial Group. He was the Director of the Regional Planning Department and had hired me to work with advisors, who used our department for strategic planning, insurance evaluation, and investment analysis. When Rob created Family Wealth Advisory Group, I recognized that his approach matched well with mine. I feel the fee-only firm does the best job of aligning the client’s best interests throughout their finances. As a result, I am proud to have been a part of FWAG for 12 years and counting. My path to the world of personal finance began during my years as an undergraduate at James Madison University. It was there that I earned a bachelor’s degree in Marketing, which allowed me to discover and develop my interests and abilities in analytics. Upon graduation I decided to concentrate my post-graduate studies in Accounting and ultimately earned a CPA. My first several jobs focused on auditing, where I strengthened my skills in identifying inconsistencies, errors, and omissions while working with various forms of comprehensive financial data. I drew upon these experiences as I moved into my first position as a financial analyst, where I developed a skill set which contributed to my strength in strategic planning and forward-based thinking. Because my family is very important to me, I am proud to have taken a 10-year break from my professional career to spend time with my children, helping them learn and grow in a rich family environment. During this time I kept my skills intact by working part-time preparing taxes. However, most of my focus was on the family and I knew when the time was right I would return to the financial sector. I was born and raised in Cincinnati, Ohio and graduated from the University of Cincinnati. After graduating with a BS in Biology, I began my career at the John J & Thomas R Schiff & Co in insurance sales. 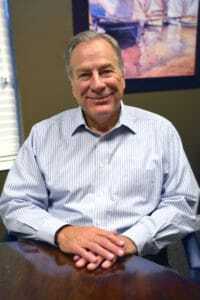 In 1983, I added to my advisory capabilities and product lineup by becoming an investment advisor representative of Lincoln Financial Advisors, which is where I met Rob and worked with him on clients I brought to the financial planning department he was responsible for. 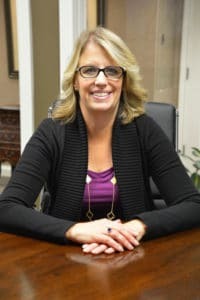 In 2007, I realized that I wanted access to an even broader array of services and advice that financial planning provides and, specifically, a firm that puts a client’s interest ahead of its own. 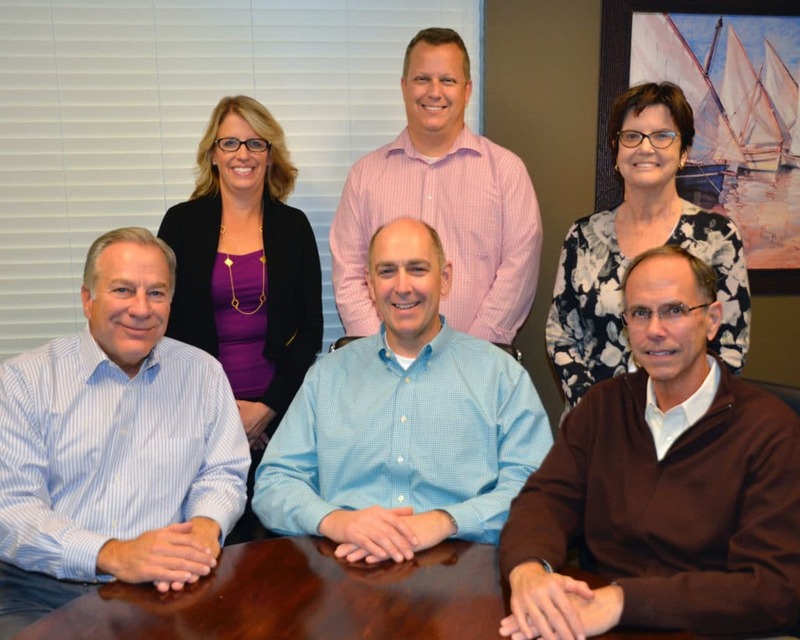 Rob and I met and agreed that Family Wealth’s comprehensive planning services and investment options offered what I wanted to provide my clients. Although I am a Cincinnati native, I have lived on both coasts as well parts of the Midwest and Midsouth regions. Every time I left, I always ended back in Cincinnati, whether it was to go to college or raise a family. My career started off with a focus on music education, which is why I chose to join the Marine Corps as a Marine Musician. This experience created a streamline path into college and helped land a job as a teacher right out of college. Although I enjoyed my job as a teacher, I knew it wasn’t going to be the best long-term career for me. I had always had an interest in investing, so I pursued a job at American Express Financial Advisors as a financial planner. This led to a new position at Fidelity Investments as a service and trading representative. During a one-and-a-half-year hiatus from Fidelity, I worked for a local Cincinnati financial services firm and spent a great deal of time advising business owners on their employee benefit plans. It was at this firm that I was first introduced to Rob Grossheim. In 2004 Rob told me of his plans to build a financial planning practice and his mission as a business owner, and this interaction stuck with me. I made a return to Fidelity and then spent some time working in 401k guidance and over nine years in the managed money division. In the summer of 2017, I felt that I needed to stop focusing on product sales and start focusing on the reasons I joined this industry, and the reasons I pursued and earned my Certified Financial Planner designation in 2006: to help people plan for their financial future, and I am very happy to be working with Family Wealth Advisory Group to make this a reality.